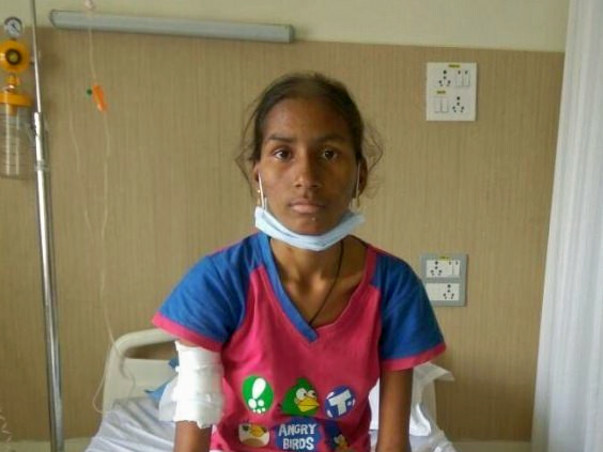 17-year-old Sirisha complained of a back pain when she was studying for her 10th standard exams. Although she was prescribed medicines, the pain intensified until it was unbearable. What they hoped would be something related to the muscle was, in fact, a diagnosis of acute leukemia. Ever since then, Sirisha has been battling the worsening symptoms of the disease without even know what is ailing her. Venkat, her brother is going to the ends of the earth to keep her alive and help her win this fight. Sirisha lived with her older brother Venkat and her parents, Venkateshwara and Kichamma in a small village nestled in Andhra Pradesh. Now 34, Venkat is married, has a baby girl and is living in Bangalore where he works. Last April, Sirisha began to complain of back pain. They visited a local doctor who prescribed medicines. Although she was on the treatment, the pain got worse until it spread to her thighs and she began to scream all day and night asking to be taken to a different doctor. 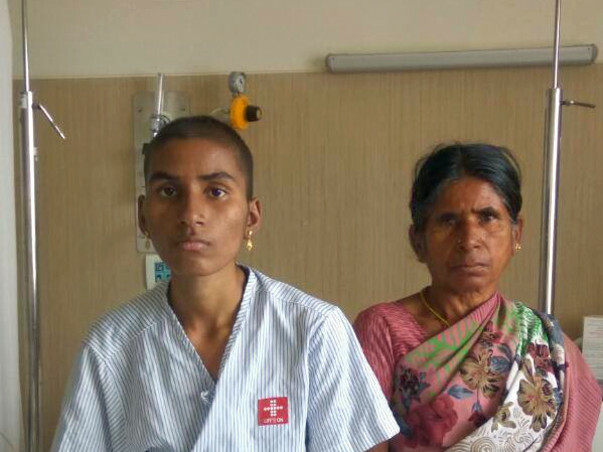 The family rushed her to Manipal Vijayawada where on suspicion, the doctor tested her bone marrow and confirmed that she had Acute Myeloid Leukemia – an abnormal growth of white blood cells in the body. She was advised to opt for induction chemotherapy and a consolidation treatment which would cost Rs. 20 Lakhs. “It was too expensive for us. So we went to a hospital in Adyar, and even Vellore. The minimum cost estimate we were given was Rs. 10 Lakhs. 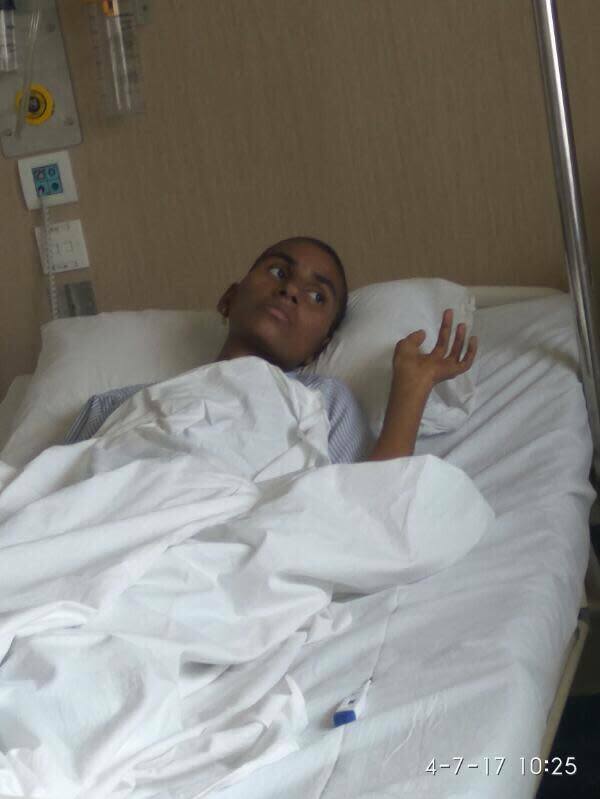 Unfortunately, the doctors said they had to perform the bone marrow test to confirm again. Sirisha refused to cooperate. She was so afraid and threw a big tantrum. They said they could not help us if the patient does not cooperate. So we came to Manipal Bangalore." In January, Sirisha had the first consolidation therapy. Her parents, unable to afford the treatment costs went back to work in the fields. Venkat liquidized all his saving. Friends and relatives came forward to help the family. Venkat also applied for a loan. On the whole, they have been able to pay Rs. 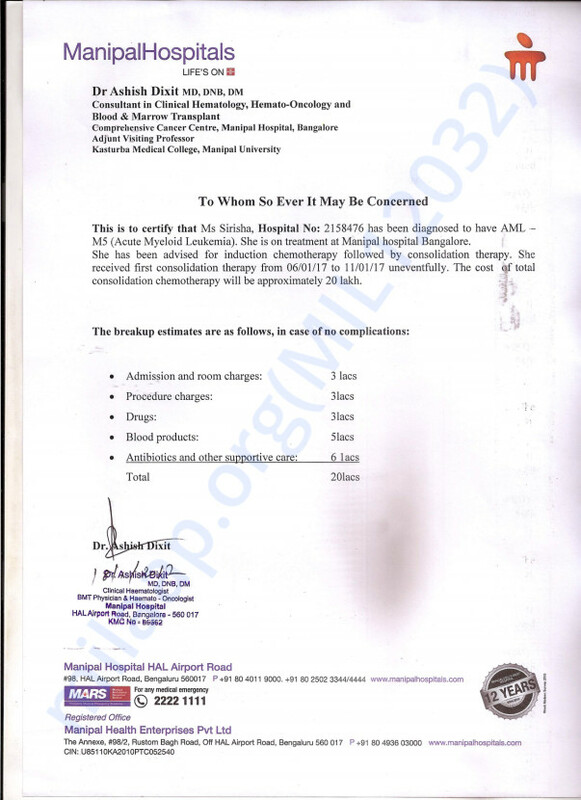 12 Lakhs to the hospital. Over the past 5 days, Sirisha’s condition has deteriorated with low platelet count. Her dosage was reduced so she could gain back her strength. She has not been allowed to eat anything, and she is only on saline. Sometimes, she cannot even have water as she has constant vomiting. The hospital is still trying to find a matching donor for Sirisha to perform a bone marrow transplant. In a few weeks, she will have to start her 4th cycle of chemotherapy. Venkat does not have any more leaves left to sit by his sister’s side. Out of sheer goodwill, people have helped this family, but they are now out of resources and need your help to save this girl. At the end of it all, she is a 17-year-old teenager, missing out on the best phase of growing up, writhing in intolerable pain, incapable of understanding what has happened to her. 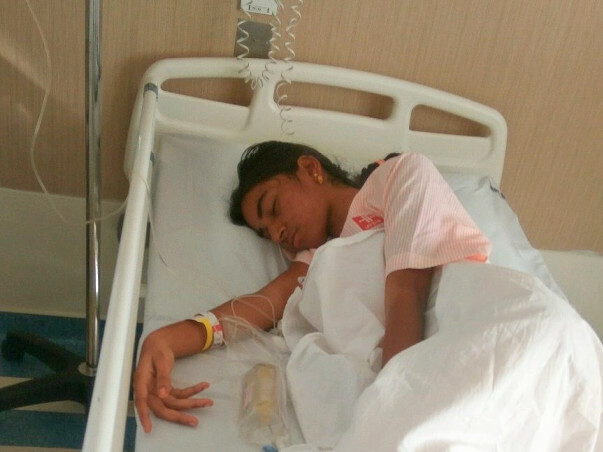 You can help Venkat save his sister. We have some positive news to share with you. Ms Sirisha underwent 5 sessions of chemotherapy. The procedure was a success. She is regularly visiting the hospital for check-ups and these follow-ups have to be carried out for 5 years to assure that cancer does not return. Clinical examination showed no signs of any traces of recurring cancer. The doctors are pretty optimistic and have advised her family to stop the medication. She is planning to give her 10th exam this year and they are looking for colleges to join for Inter 1 or 11th. Thank you for all the love and support that you have shown towards Sirisha. Your contribution has come a long way in gifting Sirisha her life back. Ms Sirisha was suffering from complaints of severe back pain, intermittent fever, and fatigue; generalised weakness since 1 month. She was treated for these issues. Clinical examination showed no signs of any traces of recurring cancer. She was diagnosed with acute myeloid leukaemia and her family was informed about the same. She then underwent the process of chemotherapy. She tolerated the therapy well and the family is looking for a sibling donor. She is being discharged from the hospital and will be visiting for follow ups. Thank you for all the love and support that you have shown so far. 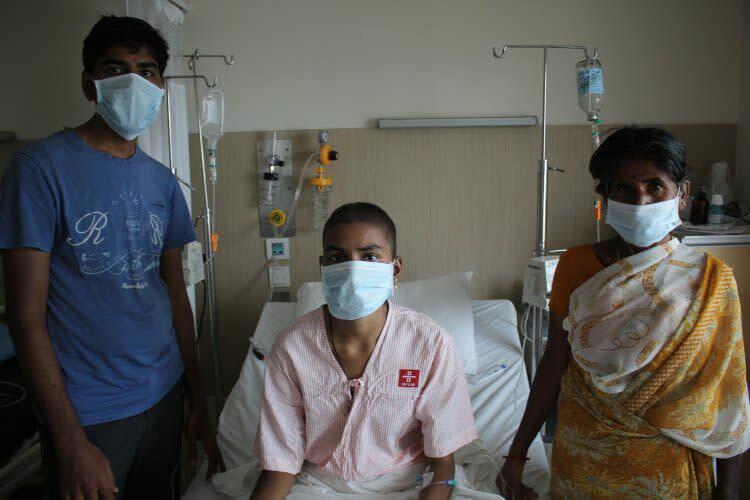 Sirisha is still under chemotherapy and needs to undergo Bone marrow transplant soon. Please do share the campaign with your friends and family too. Wish you a successful treatment and recovery.